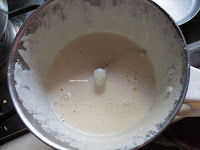 Open the lid when pressure is released add sugar and caradamom powder mix well. Add Grinded paste also and mix well. 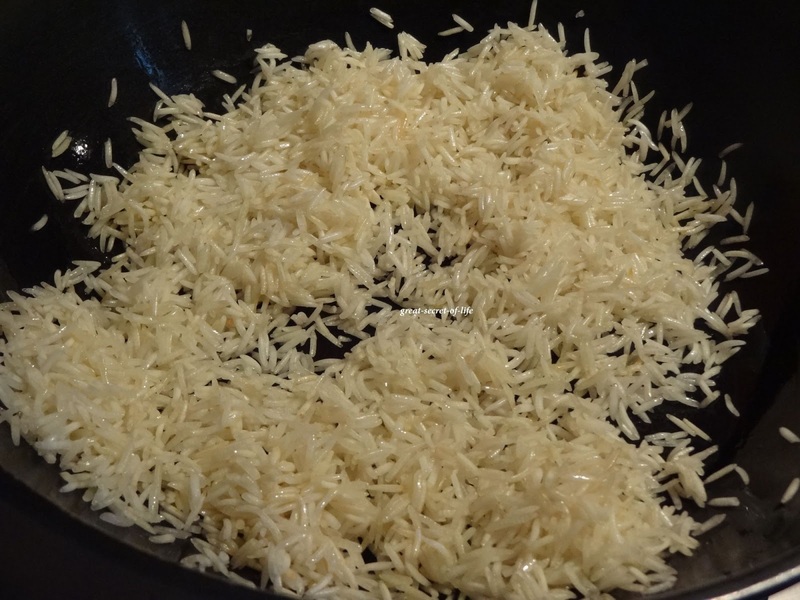 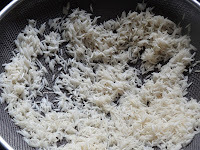 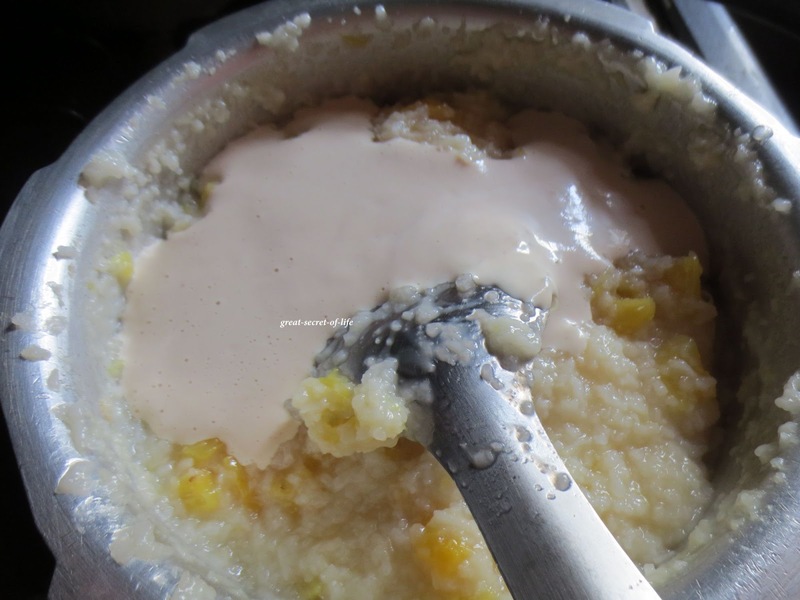 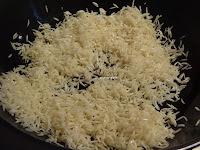 If the rice is too thick add boiled milk and mix well. 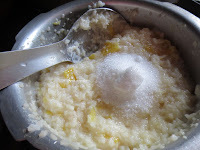 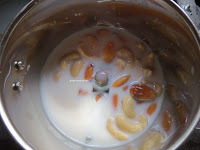 Such an interesting and beautiful twist to sweet pongal..Irresistible Pongal. 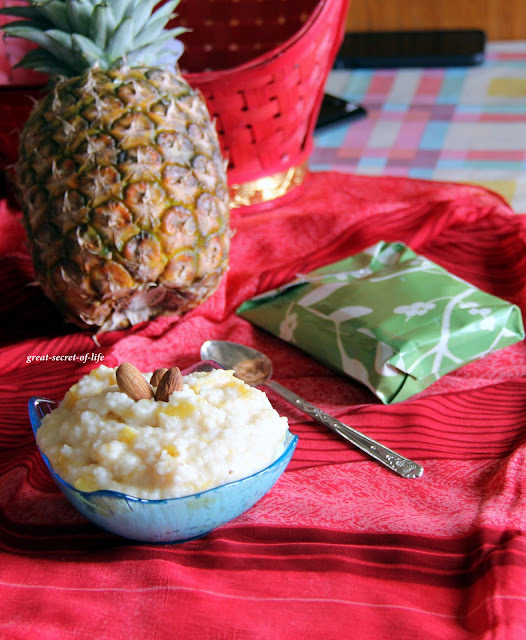 I used to make pineapple kesari, this sweet with rice sounds interesting n delicious too...lovely presentation ! 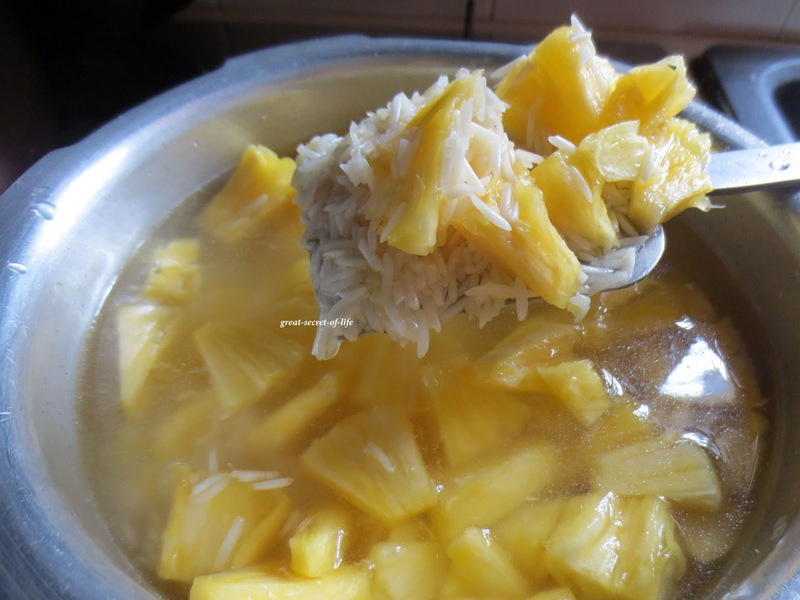 My daughter loves pineapple i must try this Yummy!!!!!!!!!! 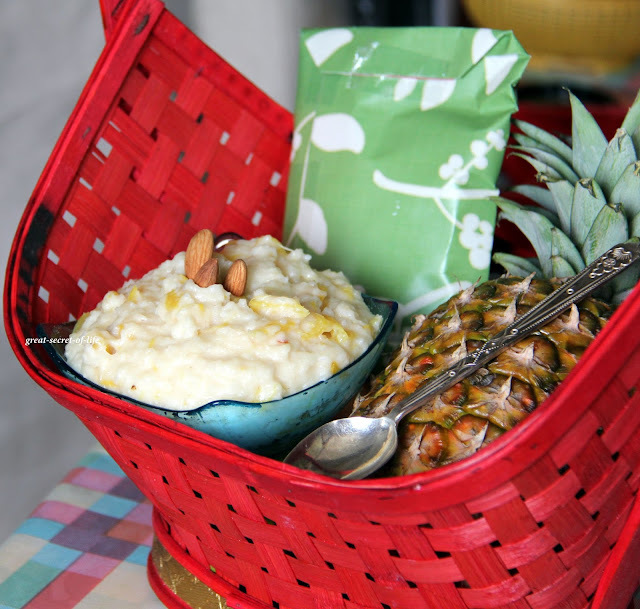 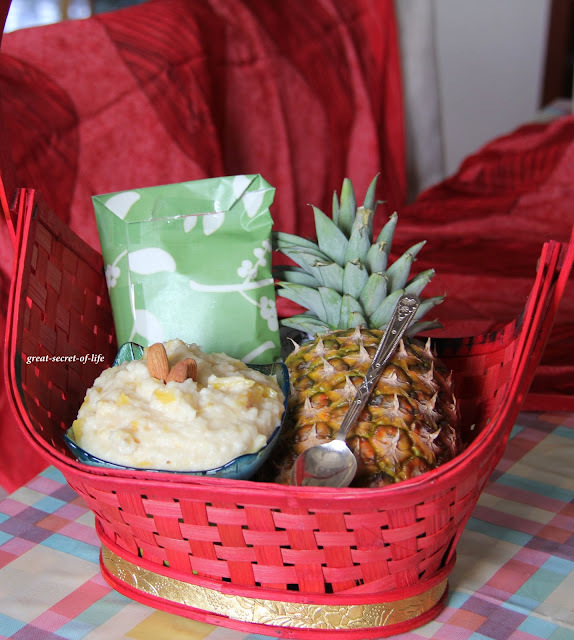 wow.. looks great dear.. pineapple and pongal.. thats really a nice combo..
What a flavorful Pongal. Happy Pongal. 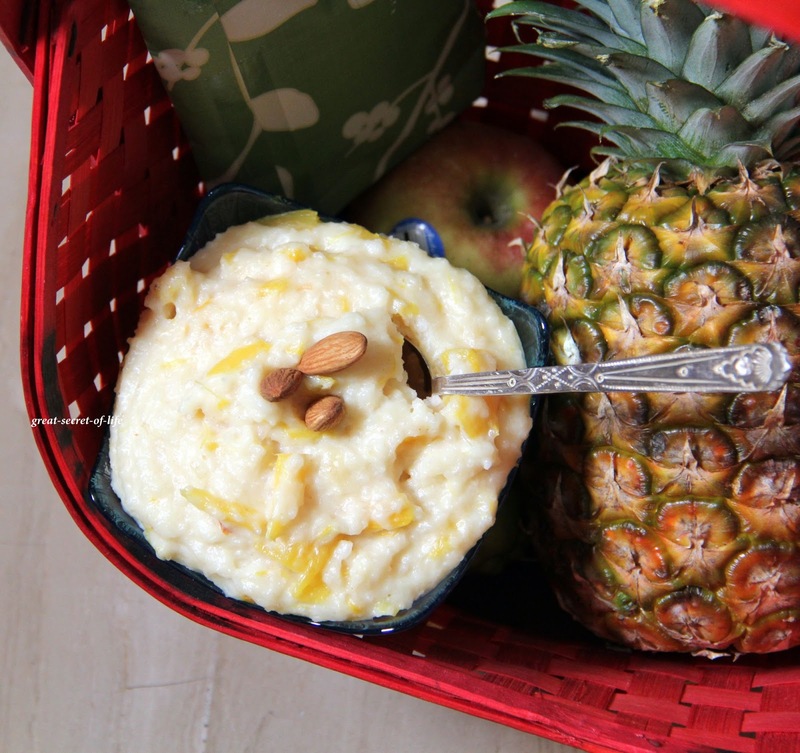 Like the addition of pineapples. Sounds great!